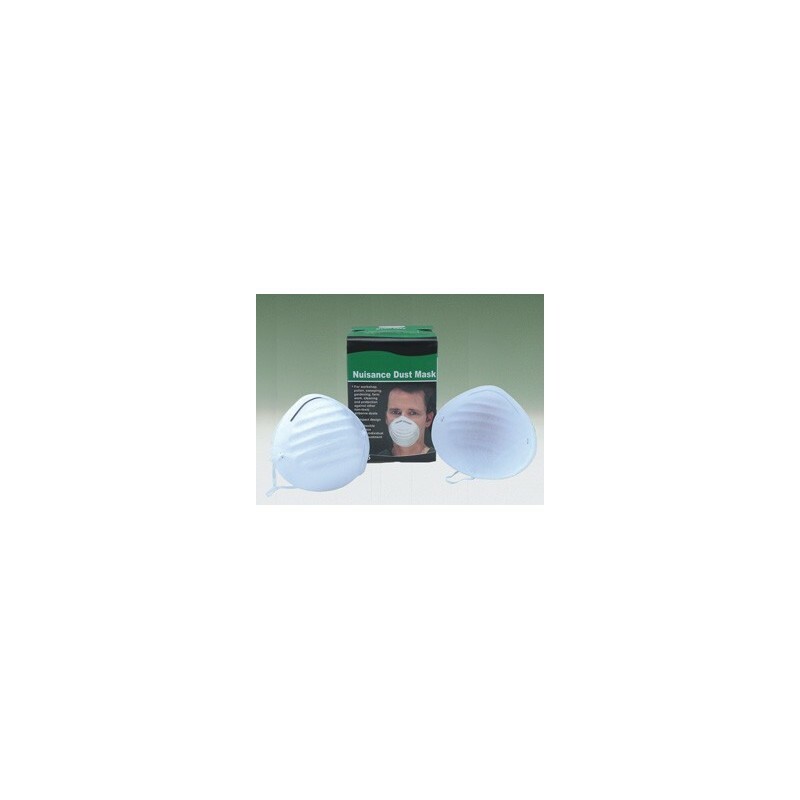 Prevent inhalation irritation with these DISPOSABLE FACE MASKS. An economical choice for light duty or short duration applications. Used for a wide range of nuisance and non-toxic dusts, mists, powders, pollens and common airborne irritants. 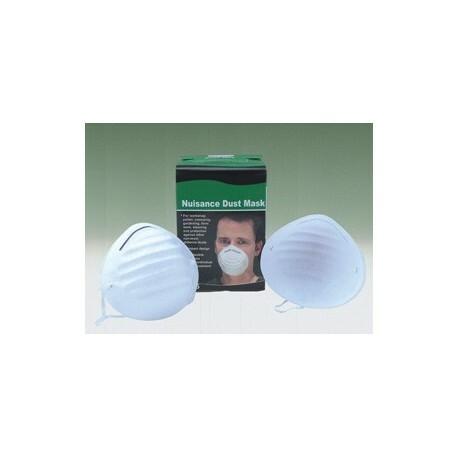 This one size fits all mask has a lightweight naturally-contoured shape for a secure fit plus a large filter area. Easily contours with the nose due to a built-in aluminum bridge clip wire support. It is comfortable to wear for extended periods of time. Designed to be worn with safety glasses. Suitable for workshop, pollen, sweeping, gardening, farm work, cleaning	and protection against other non-toxic airborne dusts. This one-size-fits-all mask is perfect for home, factory, farm, and garden use. *Caution: for comfort use only. Not NIOSH approved.